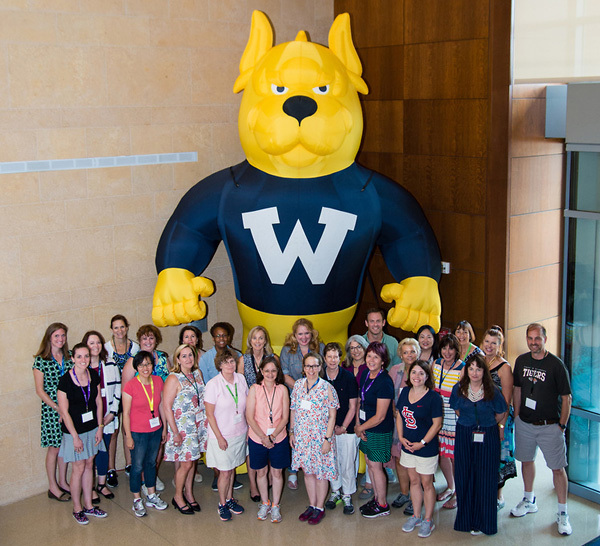 Webster University's Office of Admission hosted a group of 25 independent college counselors from around the country hosted on July 19, helping them learn more about Webster and the opportunities available for their students. Independent college counselors work individually with high school students and their families to help manage the college admissions process, and assist them in finding the best post-secondary education options. Their visit to Webster marks an important piece of the recruitment strategy for first-time freshmen. The participants were welcomed by President Beth Stroble and Provost Julian Schuster, before hearing presentations from faculty and staff, and learning about services provided by the Academic Resource Center. The counselors also took an advance tour of the Interdisciplinary Science Building.